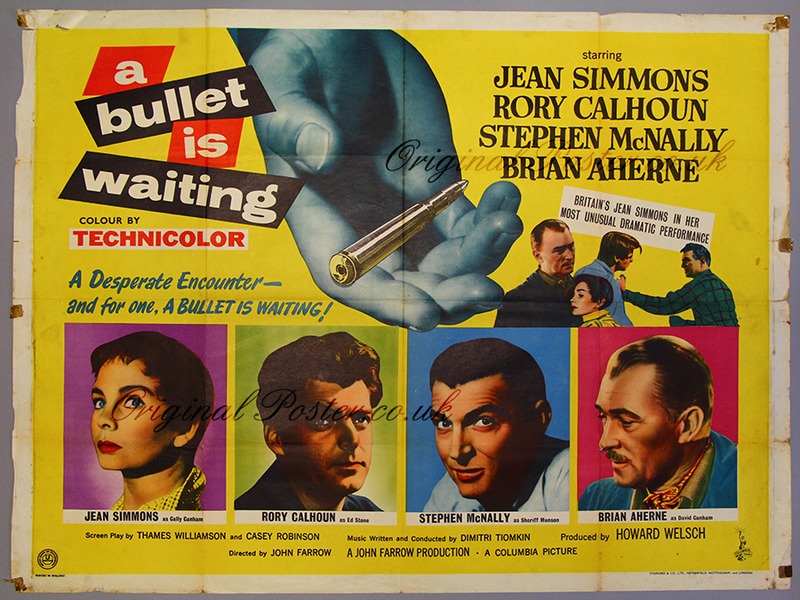 Details This early 1954 Columbia Pictures UK Quad film poster features great colour portraits of Jean Simmons, Rory Calhoun, Stephen McNally and Brian Aherne. Printed by Stafford & Co. Ltd of Netherfield Nottingham & London. Tape mark in the borders as seen.